Mr. Jiří Nekovář is not only a founder of Euro-Trend Group. He is a majority owner and chief executive of Euro-Trend, s.r.o. Mr. Jiří Nekovář, majority owner and chief executive of Euro-Trend, s.r.o. was born in 1953. After graduating from the University of Economics in Prague with a degree in Economics and Management of Industry, he worked in various economy management positions in the state administration. Since 1990, he has been dealing with economic consulting; he is a certified advisor in the field of research and development. He is a tax adviser with the license reference number 002 and in Euro-Trend he directly manages the area of tax advisory. 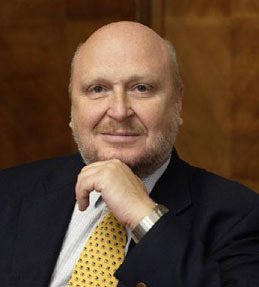 From 1996 to 2011, Mr. Nekovář was the President of the Chamber of Tax Advisers of the Czech Republic. In 2006, he was elected a vice-president and in 2013 – 2014, he was the President of the Confédération Fiscale Européenne. Mr. Nekovář is a member of the Coordination Committee of the Minister of Finance for Tax Issues, a member of the National Discussion Group of the Czech Ministry of Finance for Taxation. In December 2010, he was appointed as a member of the government’s National Economic Council (NERV). Since 2011 he has been a member of Working Committee of the Legislative Council of the Government for Regulatory Impact Assessment (RIA). From 2000 to 2006, he was a member of the management board of the General Health Insurance Company of the Czech Republic. Apart from the above posts, he is the chairman of the supervisory board of the CEZ Foundation, a member of the academic board of the private university known as “Akademie STING” in Brno and the Vice President of the Management Board of the University of Economics in Prague. He was appointed as an arbitrator of the Chamber of Commerce of the Czech Republic Arbitration Court. From August 2013 to May 2017, Mr. Nekovař was the President of the Council for Public Audit Oversight and at the present is a member of Presidium. In November 2015, he has been elected a Honorary Tax Advisor of AOTCA.